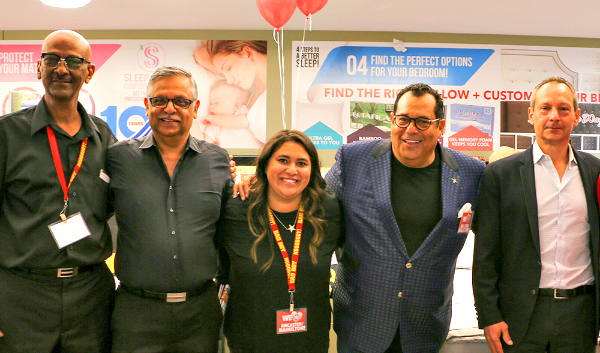 ANCASTER, Ontario – High impact promoter Lastman’s Bad Bay has opened its tenth and, at 32,000 square feet, largest store in the Meadowlands Mall, located here in this suburb of Hamilton. Ancaster, she pointed out, is a growing city which has enjoying considerable success economically in recent years as evidence by its growing population. The store will employ a staff of about 30. This will bring the company’s total employment to over 400 people. 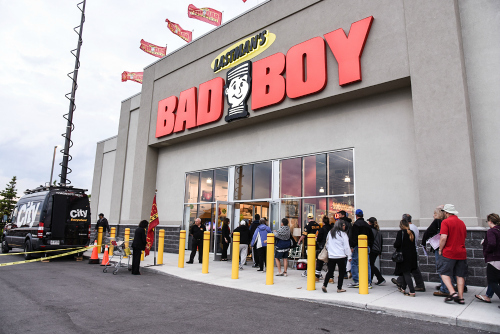 Ancaster is the first store to be added to the Bad Boy chain since the Brampton store opened in late 2012 although refurbished stores were opened in Whitby and Mississauga in 2014 and 2013 respectively. Michael is the publisher and editor of Home Goods Online. A seasoned business journalist, he has researched and written about the furniture, mattress and major appliance industries in both Canada and the United States for the past three decades.